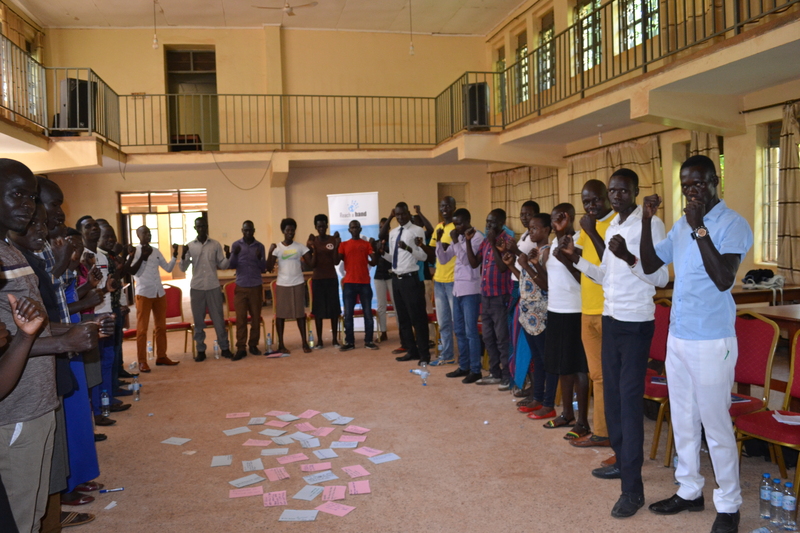 Are you a young person aged 18-24 living in West Nile or Acholi region and want to become a change agent in transforming the lives of young people in communities? Reach A Hand Uganda is looking for you! Become a Youth Champion and gain volunteer experience while in your community. 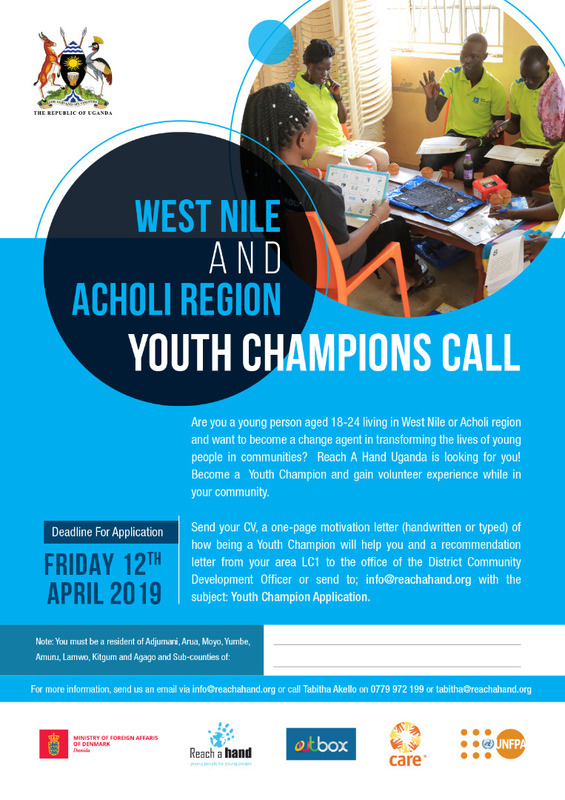 Send your CV, a one-page motivation letter (handwritten or typed) of how being a Youth Champion will help you and a recommendation letter from your area LC1 to the office of the District Community Development Officer or send to; info@reachahand.org with the subject: Youth Champion Application.